Bisgi themes have always been a cut above the rest and they have already released nearly 14 beautiful themes for Ubuntu/Gnome until now. Split is the brand new theme introduced by Bisigi and from the looks of it, Split is definitely worth a try. Introduction of split theme takes the total count of Bisigi themes to 15 now! 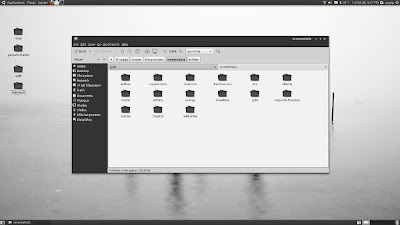 How to Install Bisigi Themes in Ubuntu Maverick, Lucid via Bisigi PPA? Open Terminal and copy-paste the following line into Terminal. Now, Install all new Split theme. Just copy-paste the following command in Terminal. Done. There you have it, the newest addition into the ever growing list of stunning themes done by Bisigi. But if you want to install all the 15 themes in one go, here is what you need to do. Now, if you don't want to install all the 15 themes initially, here are the commands to install them individually. Preview the themes here. Done. In my opinion, new split theme looks even more elegant when used in combination with Nautilus Elementary. Equinox GTK Theme + Faenza Icon Theme = Pure Awesomeness!